We have in store uniquely designed Roll to Roll Lamination Machines for our valued clients. These machines are precisely manufactured by making utmost use of supreme quality required basic material and components, sourced from the established vendors of the industry. Based on latest technology, these products are featured with longer service life and efficiency. 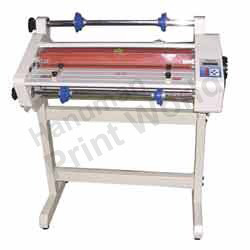 Owing to our profound industry experience, we are able to bring forth a wide array of 14" Roll to Roll Lamination Machines for our valued clients. We manufacture these using high-grade raw materials, procured from the distinguished merchandisers of the market. These products are extensively utilized in different packaging industry owing to their significant attributes such as longer service life and efficiency. Along with this, we design these products in different technical specifications while taking into consideration divergent market demands. 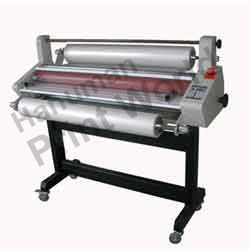 We are amongst the prominent names in the industry, engaged in offering impeccable 40" Roll To Roll Lamination Machines or Roll to Roll Laminator. These products are configured with latest technology that ensures their longer service life and efficient performance. To cater to the divergent demands of the clients, we offer these machines in different technical specifications. 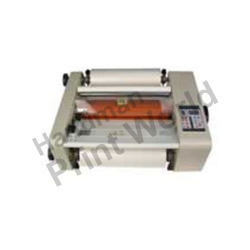 Lamination width (mm): 1070We are amongst the prominent names in the industry, engaged in offering impeccable 40" Roll To Roll Lamination Machines or Roll to Roll Laminator. These products are configured with latest technology that ensures their longer service life and efficient performance. To cater to the divergent demands of the clients, we offer these machines in different technical specifications. Core size: 2" and 3"
Leveraging on our rich experience in this domain, we have been able to offer clients with a comprehensive range of Film Lamination Machines. Conforming to the illustrated parameters of the industry, these offered products are acknowledged for their longer service life, efficiency, excellent performance and smooth finish. Furthermore, keeping in mind divergent demands of the clients, we offer these machines in multifarious technical specifications. Core Size: 1" and 2"